BSAR Field Organiser and Retired Rear Admiral Peter Briggs lead a team of Australians on a different type of search – a mission to preserve the WW1 submarine AE2 as part of the Silent Anzac Project. Peter previously led a dive survey in October 2007 that found the 99-year-old submarine to be in “remarkably good shape”. The well-preserved submarine was sunk by Ottoman gunfire off the Turkish coast in 1915. 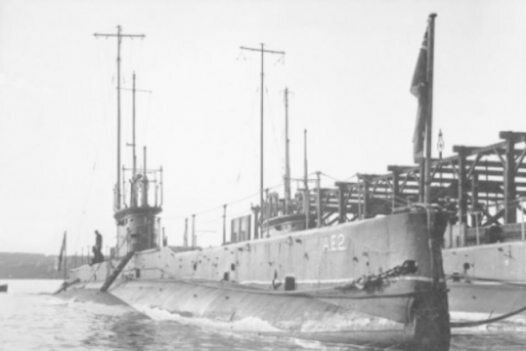 HMAS AE2 was an E-class submarine of the Royal Australian Navy (RAN) and was the first Allied submarine to penetrate the Dardanelles strait in a bid to secure the Gallipoli Peninsula. The AE2 launched a torpedo attack on enemy warships and spent five days “running amok” before succumbing to Ottoman gunfire and sinking in the Sea of Marmara. Commander HG “Dacre” Stoker and his crew were captured and became prisoners of war. The AE2 Commemorative Foundation and the Submarine Institute of Australia are now working with the Turkish government to preserve the “time capsule” wreck. Divers visited the wreck in late June and obtained remarkable video footage inside the submarine using a specialised Remote Operated Vehicle (ROV) equipped with HD cameras. Much of the AE2’s interior is in excellent condition and has been viewed for the first time in 99 years.